~~> All Aboard! 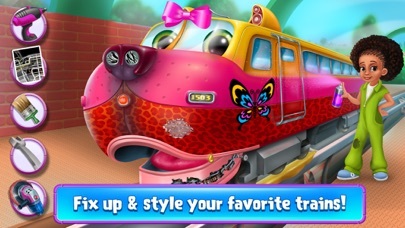 Meet the Super Fun Trains - the coolest, most adorable trains on the app store! ~~> Run your own train station! Fix the trains, board the passengers, sort the cargo and so much more! 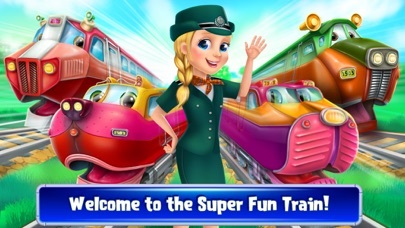 ~~> Drive your train over beautiful tracks and get ready for a super fun adventure with tons of exciting mini games! Final call! The local train station needs YOUR help to run the show. It's up to you to make sure this is the most fun train ride ever! Clean up and decorate the train station, replace broken train parts and style your train with awesome spray paint art at the body shop! 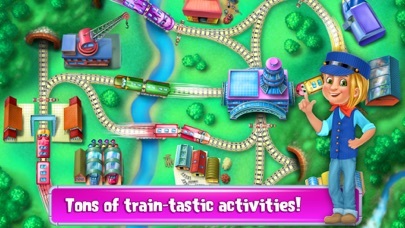 With tons of train activities, there’s so much fun to be had! 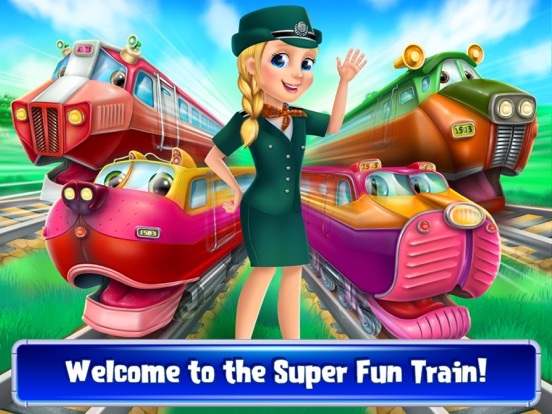 Master the interactive train simulator! 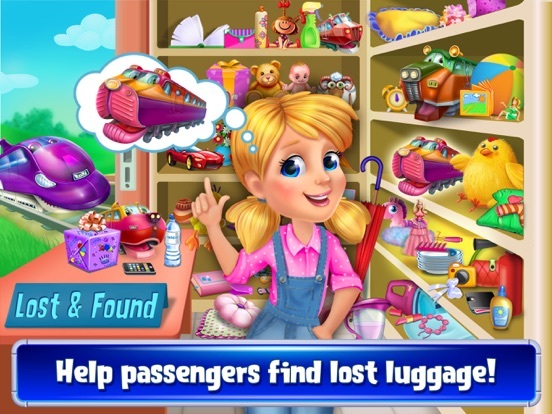 You can even run the train control by solving fun-filled mazes! 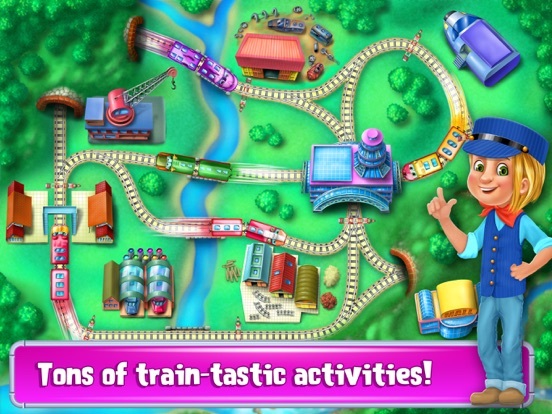 Don’t forget to fix up the train in time for the cross-country trip and drive your train across a variety of tracks! 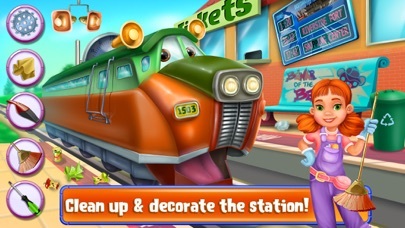 > Enjoy tons of coloring pages with all your favorite trains! 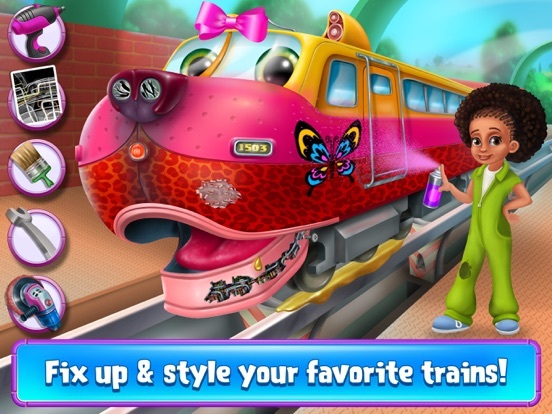 > Style & paint your train with stickers and stencils! 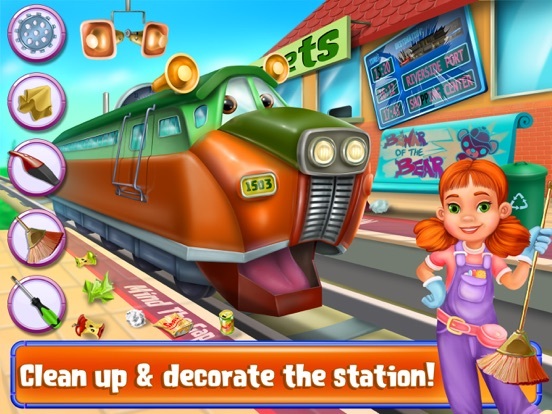 > Clean up and decorate the station to board the passengers! > Fix the tracks against time, before the train drives over them! 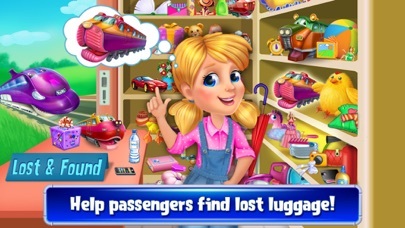 > Solve over 20 levels of challenging train control mazes!